Sending emails is not about conveying messages, sending or exchanging information. It’s about putting across things in the most convincing manner, in a way that is simple to read, easy to understand, and appropriate to the context. Personal emails are of course the exception, but if you plan to do email marketing, every word of your email matters. In that case you need professional email services. 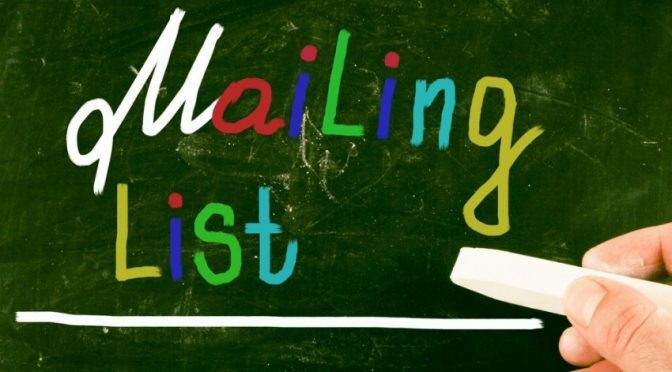 Having various email lists will be a great idea to set your email marketing campaign on fire! These lists are usually purchased, rented, or leased from agencies that are authorized to maintain email ids and contact details of potential customers for any business. Well, if you think you don’t need them, rethink! No matter how small your company is or how big your business has grown over time, email marketing is a smart way to keep the business running in good pace. Although you have a database maintained with contact details and run your campaigns successfully with existing customers, these email lists come a long way in increasing the client pool in a global market. Customer satisfaction is a first priority because we want to know how our products or services fulfill our customer’s expectation. Copyright © 2017 VIRAAJ DIGITAL All Rights Reserved.